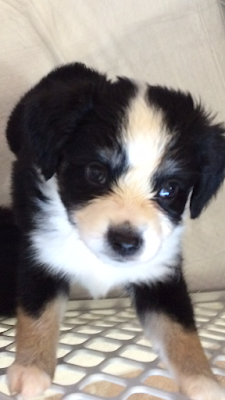 Welcome to our big 2015 puppy debut page! Our 2015 puppies were born on June 30th and their names are Bear, Sammie, Georgie, Stetson, Daisy, Jessie, Levi, Lilah, Caleb, and Abby! These 10 adorable little puppies were born to Lexi and Bentley and Molly and Bentley! Lexi had 7 puppies and Molly had 3 puppies on the same day, for a total of 10 adorable little puppies! Here are the beautiful puppy parents! Lexi, Molly, and daddy Bentley! Molly and Bentley are toy sized about 15 pounds and Lexi is a small mini about 14 inches and 25 pounds. 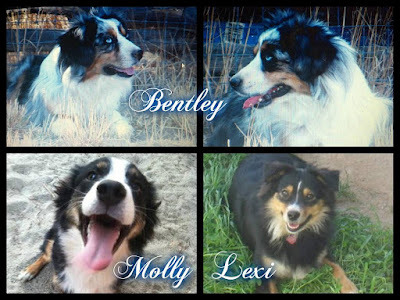 These puppies are sired by Bentley who is from renowned Rimfire foundation Toy/Mini Aussie lines! Bentley will be shown to his championship soon! Molly is from our Sept 2013 litter from Lexi and Toby so her puppies are 3rd generation! Bear, Daisy, and Abby are from Molly! Their puppies are very small and currently charting to be only 10-15 pounds full grown! Tiny little Lilah is charting to be only 8 pounds full grown! Then we have big Bear who is charting to be a perfect small mini at about 22 pounds. The rest should stay small, adorable, and toy sized! The perfect size to cuddle with, carry around, snuggle, go everywhere with you, and travel with you! These puppies just love cuddles and snuggles! Their favorite thing is to be picked up and held over your shoulder like a baby while you rub their back and they snuggle into your shoulder and neck! It is the cutest and sweetest thing ever! Such cute little sweethearts and cuddler lovebugs! Here is a video of our previous 2011 puppies showing off what they learned before going home! Amazing All-Star Puppies Show Off Their Tricks and Training! We are located in Southern California and will personally deliver your puppy to your home for their 2 hour adoption appointment to go over their adoption paperwork, training, and get them acclimated to their new family and home! Our puppies also go home with an All-Star Puppy Starter Kit which includes a 6 lb bag of their holistic puppy food, a clicker, a folder with their adoption paperwork, and various other goodies for your puppy! Your puppy also goes home started on potty training, crate training, and obedience training! Imagine telling your adorable new puppy to sit and they already know how! We do not ship puppies, however we have flown with two puppies in the cabin with us up to Northern California to deliver them to their new families. So we offer this puppy nanny personal delivery service as well! If you are interested in adopting any of our available puppies, please download our puppy adoption application located at the very bottom of this page in either pdf or doc format, fill it out, and submit it to us at AllStarAussies@gmail.com Thanks! Now let's meet these adorable little puppies!! Georgie weighed 4 pounds on 9/2 and is charting to be a tiny toy sized boy at about 11 pounds full grown. He is about the same size as little Lilah! They are both tiny and super cute! He looks like a tiny replica or twin of Joey from our Sept 2013 litter! Same markings and deep rust color, just like him but tiny toy sized! He has a beautiful full white collar and deep dark rust colored copper markings that is hard to find! He is a playful silly little sweetheart he gets so happy and super excited to see you or when you talk to him or pet him. It's like he goes into instant happy mode instantly running as fast as he can to you to get snuggles and pets! He is super cute and tiny! The whole time I was trying to take pics of him he was trying to run up to me, play, shake paws, or wave at me. He was too excited and just wanted to say hi and cuddle lol He likes to give puppy kisses too! Sammie weighed 5.4 pounds on 9/2 and is charting to be toy sized and about 15 pounds full grown. He is so adorable and so cute!! I love his big expressive chocolate brown eyes they just melt your heart! He is a playful but mellow sweetie pie and he likes to snuggle! He is a smaller version of Bear! So I sometimes call him Little Bear or Lil Bear, or Lilo! He has the cutest little face! Stetson weighed 5.2 pounds on 9/2 and he is charting to be toy sized and about 15 pounds full grown. I love his markings! He is named Stetson because he looks like he is wearing little brown Stetson boots on his feet! So cute!! He is a sweetie pie and he loves to be held and cuddled! Daisy weighed 4 pounds on 9/2 and is charting to be toy sized at about 11 pounds full grown. She is such a doll! She is so super cute, I can't even handle her cuteness! She just completely melts me with those big brown chocolate eyes and cute ears! She has perfect markings and is so flashy and gorgeous! She is absolutely perfect in every way with a great personality! She is calm and mellow but also playful and loves to cuddle! She watches and listens intently and tilts her head when you talk to her. Sometimes she will even say something back in her cute little puppy talk! She loves to be picked up, carried, and snuggled! She is just such a sweetheart and so very beautiful and perfect! Jessie weighed 4 pounds on 9/2 and is charting to be toy sized at about 11 pounds full grown! He is a tiny little guy and the cutest thing ever! He is super cute! He is always giving great eye contact and smiling! He is a happy very friendly little guy! He really loves to be picked up, held, and cuddled! He loves to give puppy kisses and gets so excited to see you or cuddle with you! He is such a gorgeous little sweetheart! He is happy, playful, friendly, and cuddly! Plus he is a ham he loves getting he photos taken and poses so well! He even smiles for the camera! What super cute sweetie pie! I love his exotic bold and flashy zebra blue merle markings! He would love to go everywhere with you! Levi weighed 5.4 pounds on 9/2 and is charting to be about 15 pounds full grown. He is a playful sweetheart always wagging his tail and happy to see you. He was not a fan of the photo sessions though lol He was having a bad ear day so he has a goofy ear in many of his photos. He is even more handsome in person! He is a stocky boy built like a rock with heavy bone, a big blocky head and muzzle, and beautiful copper and blue merle markings! He is perfectly marked with a full collar and matching white face blaze. He is a sweet happy boy glad to see you and get cuddles! He looks a lot like Bentley from our 2011 litter, now called Larry David, that was adopted by a professional athlete on the LA Galaxy soccer team! He looks so much like him when he was a puppy and he is the most gorgeous boy ever now! He should grow up to look a lot like his handsome half brother! Winter is coming and Levi is dreaming of cooler days with his snowman snuggles! Lilah - ADOPTED! - 11/8/15 Lilah has been adopted! 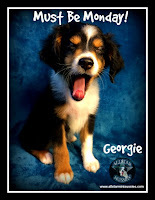 Congratulations to the Sweet-Speed family on your second All-Star Mini Aussie puppy! Lilah will be going to live with Molly (aka Diamond) from our champions Zoey and Zen Buddha! Lilah weighed 3 pounds on 9/2 and is charting to be a tiny toy at only about 8 pounds full grown! She is very tiny, super cute, and full of personality and charm! She is very happy, lively, spunky, playful, and silly! Her silly antics will entertain you and make you smile. She will sit so politely and look up at me waiting for me to pick her up or shake paws, and then when I bend down she gets so excited and jumps straight up or grabs my arms and wraps her paws around my arm hugging me lol. She is just too cute! She likes to be picked up and cuddled, and she likes to show off her sit and shake! She also waves at me with her paw all the time on her own in the cutest playful way just to say hi! She is so full of charm and could be a purse puppy going everywhere with you or traveling with you! She's very curious and likes to explore new things and places. She is the cutest tiniest little baby girl! She has stunning exotic flashy blue merle markings and blue eyes! What a perfect little girl! Bear weighed 7.6 pounds on 9/2 and is charting to be mini sized and about 22 pounds full grown. 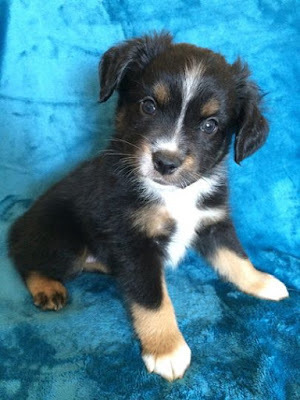 He will be a perfect small Mini sized boy with gorgeous markings, a big blocky head and muzzle, beautiful face, ears, coat, and wow his thick wide bone is amazing for such a little boy! He is the epitome of the perfect black tri Mini boy and will be absolutely gorgeous as he already is! He is also Mr. Personality! He is full of character and loves to talk to you in little puppy Bear talk. He gives great eye contact and will watch and listen to you intently tilting his head as you talk to him, he might even reply with Bear talk! lol he is so cute and full of charm and personality! He is a very laid back and mellow boy. He really likes to sit and shake for you too! Bear and Caleb say Hi! If you are interested in adopting one of the available puppies, please download our puppy adoption application below in either pdf or doc format, fill it out, and submit it to us at AllStarAussies@gmail.com Thanks!